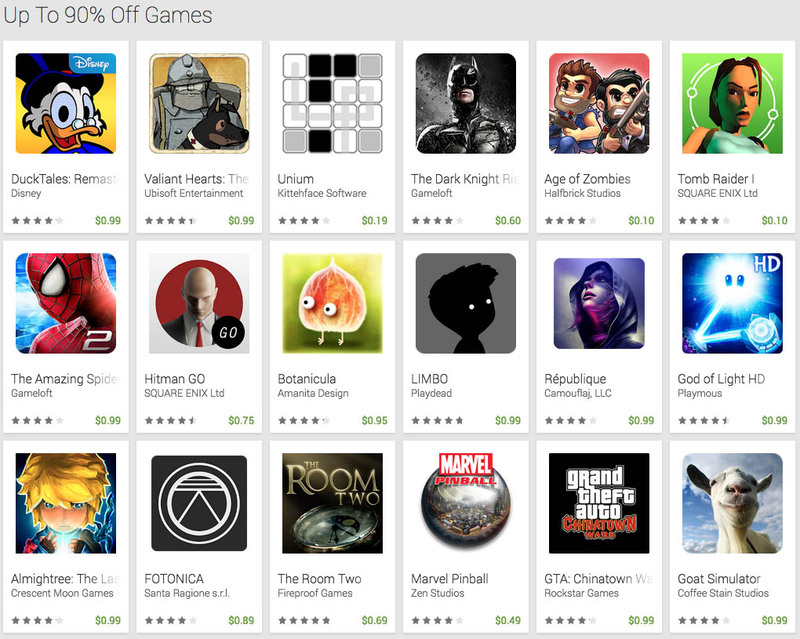 Google is currently hosting a games sale on Google Play that has cut prices on select games up to 90%. Games included in the deal are big titles like Monument Valley ($0.99), Game of Thrones ($0.60), LIMBO ($0.99), Hitman GO ($0.75), Goat Simulator ($0.99), The Room Two ($0.69), and Grand Theft Auto: Chinatown Wars ($0.99). The deal is live through July 27, so be sure to grab as many as you can over the weekend. Some of the prices have dropped to as low as $0.19.